Lallemand yeast extractsYeast extracts are flavour contributor and flavour... More are mainly derived from primary grown baker’s yeastYeast is a unicellular fungus that can convert sug... More and are referred to as baker’s yeast extractsYeast extracts are flavour contributor and flavour... More. Yeast extractsYeast extracts are flavour contributor and flavour... More can also be made from other sources of yeastYeast is a unicellular fungus that can convert sug... More from alcoholic fermentations such as beer making and are known as distillers yeast extractsYeast extracts are flavour contributor and flavour... More. This type of alcohol yeastYeast is a unicellular fungus that can convert sug... More is quite different from baker’s yeastYeast is a unicellular fungus that can convert sug... More since they have been made used to convert sugars to alcohol. The resultant yeast extractsYeast extracts are flavour contributor and flavour... More will be nutritionally different from the baker’s yeast extractLallemand yeast extracts are mainly derived from p... More. Lallemand LyfeTM yeast extractsYeast extracts are flavour contributor and flavour... More contain peptides, free amino acids, nucleic acid and other compounds, which, just like seasonings, help to improve taste, but also bring out and balance flavors in food products. High-LyfeTM yeast extracts contain a natural source of nucleotides (5’ IMP & GMP) that impart a kokumi and umami sensation in order to bring out taste and round off sharp notes. These products can be used in a wide range of applications, and in combination with other yeast extracts. Additionally, the use of low salt High-LyfeTM yeast extracts is an effective way to reduce sodium all the while helping to maintain the salt perception. Bio-LyfeTM is an organic yeast extract derived from primary grown yeast of the genus Saccharomyces cerevisiae. The result is a light to beige colored powder which is an effective general flavor enhancer. Bio-LyfeTM is produced in accordance with EU regulations for organic manufacturing. These products can be used to add or enhance flavor in low salt soups, sauces, spice mixes and prepared meals. Prime-LyfeTM yeast extracts are light in color and designed to promote mild savory tastes and round off flavor notes in food. The functionality and versatility of these yeast extracts are displayed by their ability to create savory flavor bases, and help bring out meaty notes and vegetable flavors. These products are suitable for use in broths, bouillons, soups, sauces and spice blends – wherever mild savory flavor distinctions are required. They can also be considered for non-savory, creamy applications at low concentrations. Intense-LyfeTM yeast extracts provide flavor bases for roasted, meaty profiles and enhance caramelized notes for a stronger savory perception. These products provide a dark color for bouillons, soups and sauce bases and can be used to replace caramel color. Savory-LyfeTM yeast extracts promote specific flavors and enhance or complement cooked notes in all types of savory foods. These products are ideal for foods requiring roasted notes enhancement, such as roasted beef or chicken. They can be used in a wide range of applications and in conjunction with other yeast extracts. 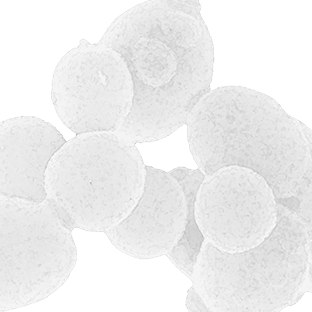 Whole-LyfeTM products are developed from primary and/or whole cell brewer’s yeasts. Autolysates function to improve savory flavor, texture and mouthfeel in food products. These cost effective ingredients benefit savory notes and texture in low sodium meat processing. Cell-LyfeTM is made from the cell walls of bakers’ yeast. The result is a light tan powder with neutral flavor. It can be used for its rheological properties: thickness, water binding, emulsification, gelling, creaminess, oil-binding, and water-holding. Thanks to elevated levels of beta-glucans, one gram of Cell-LyfeTM E binds as much as 4.7 g of water.